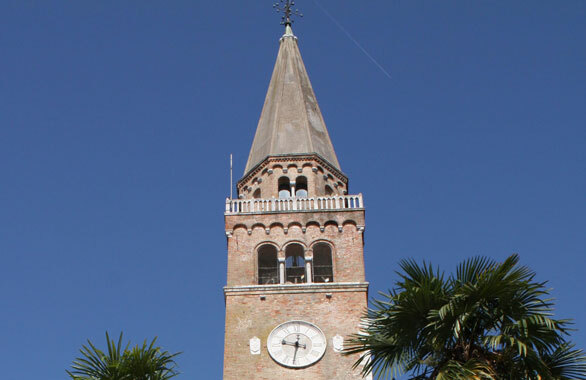 About an hour east of Venice is Portogruaro – a beautiful town with its very own leaning tower. I had just finished reading “Why Buildings Fall Down” by M. Levy and M. Salvadori and came upon this tower that has sunk on one corner. Seen from the other side. Note steel brace about 2/3 up between buildings.